A man has been arrested following an attack in Barnsley. The 23-year-old man was arrested on suspicion of attempted murder, but has since been released by police under investigation. Just after 6pm on Tuesday October 16, a 28-year-old man was found in an Alleyway off Coniston Road, close to Barnsley’s Oakwell stadium. He was taken to hospital with a serious head injury, where he remains in a serious condition. Police in Barnsley say they are trying to determine what happened to him and are continuing to urge witnesses to come forward with any information. Anyone with information should call South Yorkshire Police on 101 quoting incident number 786 of October 16. 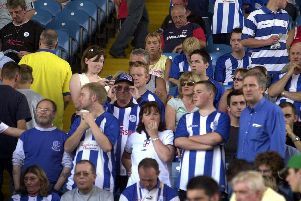 Can you spot yourself in these old Sheffield Wednesday crowd pictures from the 90s and early 2000s?